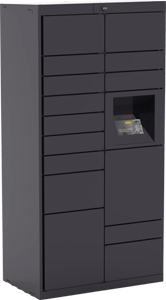 Budget Mailboxes is proud to offer Luxer One Smart Package Lockers. Designed and built here in the USA and backed by 24/7 product support, the Luxer system is truly one of a kind. Problem: An increase in package delivery to multifamily residences means that package security is a potential liability for the property owners. Solution: Luxer Lockers reduce this liability concern by providing a safe and efficient solution for secure package delivery and storage. Problem: Statistically, properties are paying an average of $800 per month in manual delivery processes and management. Solution: Luxer systems automate and take over the management burden so that leasing agents and property managers can do their jobs. Luxer has designed its smart lockers with both the property owners and residents in mind, offering a solution that is convenient, secure, and efficient for the long-term. Or are you ready to purchase and require a detailed price quote? No problem -- just complete and submit the short form below. One of our product experts will contact you within 1 business day to discuss your specific requirements. As a preferred partner, our sales and service reps are qualified to walk you through every step of the process, beginning with your required configuration and continuing with the schedule of installation and ensuring the products meet your needs. Whether you are still educating yourself about the product or are ready to make a purchase, feel free to contact us Monday through Friday, 6:00 AM to 5:00 PM PST. The heart and center of the Luxer system is the main unit, equipped with an iPad touchscreen, battery backup, and a total of 15 compartments of varying size. Every locker configuration begins here. You can also provide more than one main unit (this can be useful if you expect higher than average delivery and retrieval). The original add-on unit contains 17 additional small, medium, and large compartments. 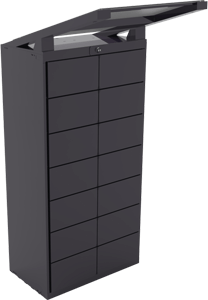 Add as many of these units to your configuration as needed, based on your property requirements. 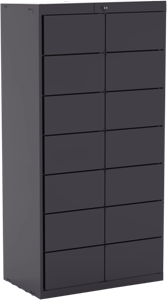 This special unit contains 14 medium-sized locker compartments, perfect for the most common package sizes. Adding one of these units will give residences greater flexibility. Just like the other add-on units, you may add as many of these to the Main Unit as needed. The Four-Door add-on unit contains 4 extra-tall locker compartments for private storage of oversized deliveries. Again, add as many of these units to your configuration as you desire. 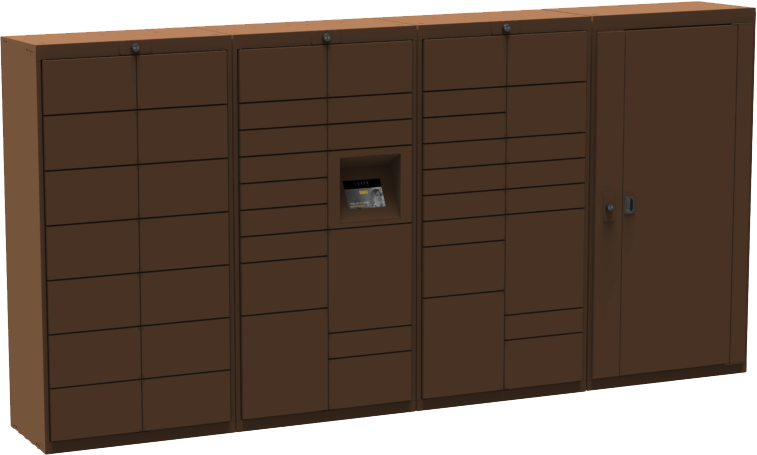 When paired with the included video surveillance system, the oversized package locker can also accept an overflow of deliveries if all other lockers are full, allowing for 100% package acceptance. We recommend at least one of these units for every smart locker setup. As local grocery delivery becomes more popular, being able to safely store perishable deliveries becomes crucial for multifamily residences. 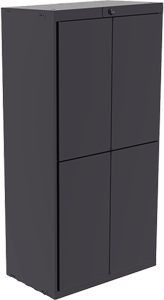 The Luxer Fridge solves this problem by integrating with the Main Locker system -- perishables can be delivered to the Fridge in the same way packages are delivered to the Lockers. 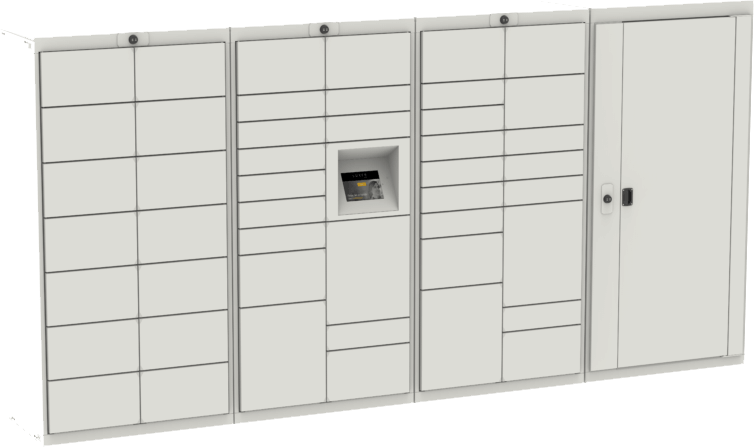 Just like with the Locker, residents are notified as soon as their perishable goods are delivered. 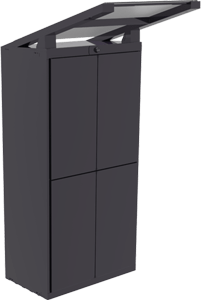 The same smart system that controls Luxer Lockers can unlock the Fridge for perishable deliveries. Accommodate large flower arrangements or other oversized deliveries. Environmentally friendly refrigerant, resulting in zero ozone depletion potential. Built in the USA to assure quality and local serviceability. 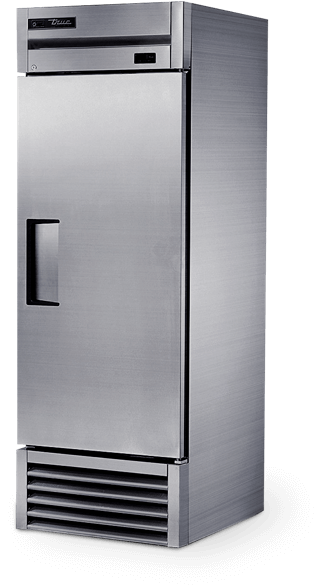 Luxer's proprietary locking technology controls access to the refrigerator. The world's most trusted brand in commercial refrigeration for over 70 years. If your property does not have the space to house Lockers, the Luxer Room may be exactly what you need. It is a simple technology that adds a layer of controlled access to any pre-existing package room. Carriers deliver directly to the room with their delivery access code. Package recipients receive a text message with a one-time use access code to enter and retrieve their package. Video surveillance with access logs available for 10 days after recording helps properties maintain security and accountability. All the property needs for this setup is the room itself -- Luxer Room technology handles the rest, including the 24/7 video surveillance. Designed and engineered in California. Built in the USA. Change compartment door sizes easily on the field. Key-free access to all compartments for management. Fully compliant with Americans with Disabilities Act and ADA Standards for Accessible Design. Heavy-duty corrosion-resistant steel with long-lasting powder coat finish. Tamper-proof internal hinge mechanism for added security. iOS-powered touch display means a familiar interface for users of all ages. 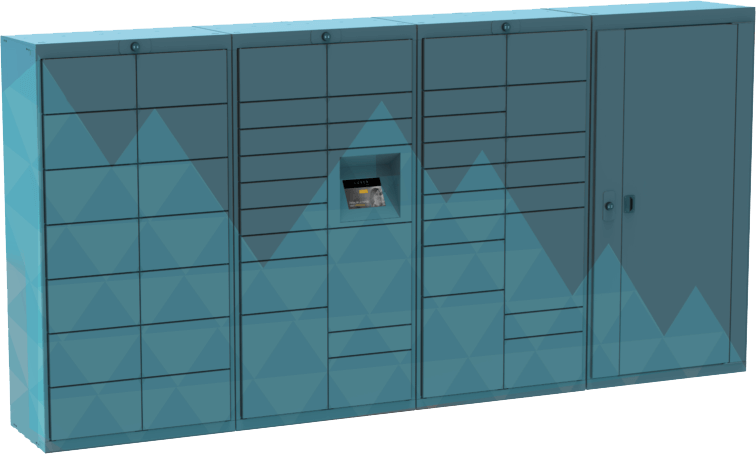 Cloud-based surveillance system on opposite wall allows you to monitor the entire locker area. Select from any of our four standard locker colors, or customize your system with custom paint, wraps, or branding. Note: custom paint, wrapping, or branding will incur added charges to be included in the final price quote. CUSTOM COLOR Custom color lockers available in any color in the RAL system. Additional charge & lead time apply. CUSTOM WRAP Custom wrapping available for a completely unique design. Additional charge & lead time apply. CUSTOM BRANDING Custom branding available to make it your own. Additional charge applies. Why do properties prefer Luxer? 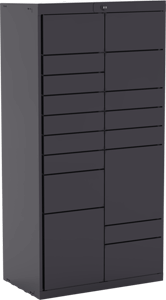 Luxer Lockers are designed to solve apartment buildings package problems entirely. Luxer designed the first-ever oversized locker, which accepts the maximum sized parcel carriers deliver. The steel locker system is ultra-secure by itself, but paired with 24/7 video and audio surveillance and round-the-clock customer support, properties can see exactly what happens with resident packages so nothing goes missing. Easy to use software has unique features, like allowing deliveries for new residents who may not yet be added to the registry. 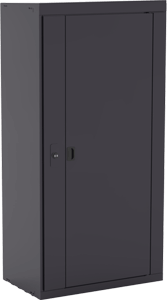 For properties who don't have space for lockers, Luxer offers their door lock system for properties who prefer to use a delivery room instead of lockers (Luxer Room). Dedicated to customer satisfaction with 24/7 access to Luxer's support teams. 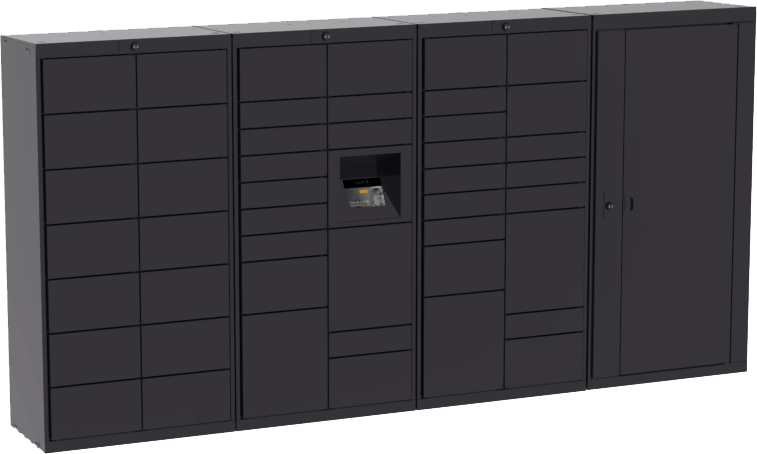 What should you know before investing in smart package lockers? Almost 20% of packages are oversized. 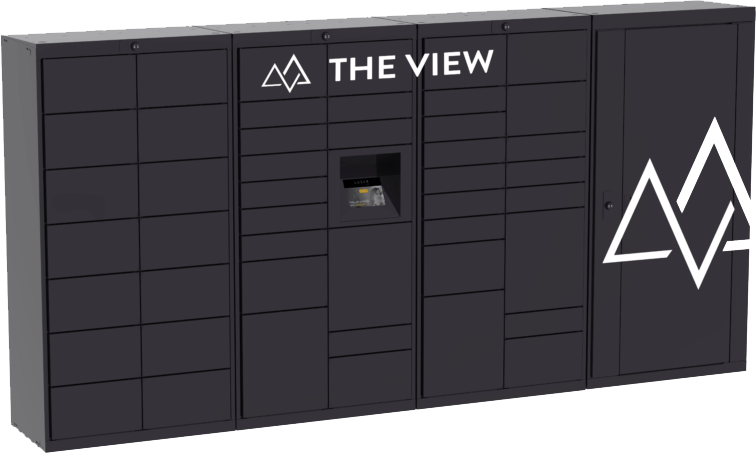 With the oversized locker, you can rest assured that 100% of deliveries will be accepted, including overflow during the holidays. HD surveillance cameras come standard, providing a full view of the entire locker or room area. Our support team maintains and monitors the footage, so you don�t have to. Offer your residents the perk of shipping their outbound packages -- including online shopping returns -- straight from their home with Luxer package lockers. Get industry-leading reporting and management tools at your fingertips. The Luxer package management software is made for the building or corporate level, allowing you to manage multiple locations at once. Luxer offers an unprecedented service level guarantee of 99.9% uptime. This patent-pending feature allows carriers to deliver packages even if the recipient's name isn't listed, which a convenient solution for new residents, corporate housing, and resident name changes.